No matter what the occasion, we always have a great mixture of music! From the Big Band era, Frank Sinatra, Garth Brooks, even today's current hits, and everything in between, we are sure to have music that is suitable for everyone. 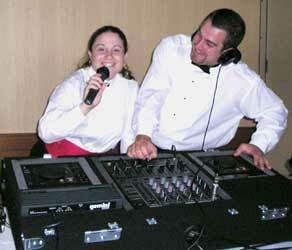 We provide you with a request list to fill out, so we can guarantee to have the music you want for your special day!